Can you trust me? Can I trust you? 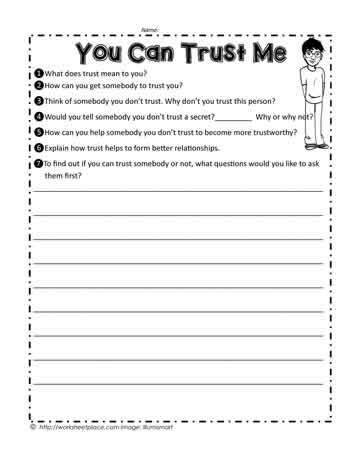 This worksheet is a social skills worksheet that focuses on trust and gaining trust. What does somebody have to do to re-gain your trust once it has been lost? Can trust be regained? This social skills printable focuses on trust.